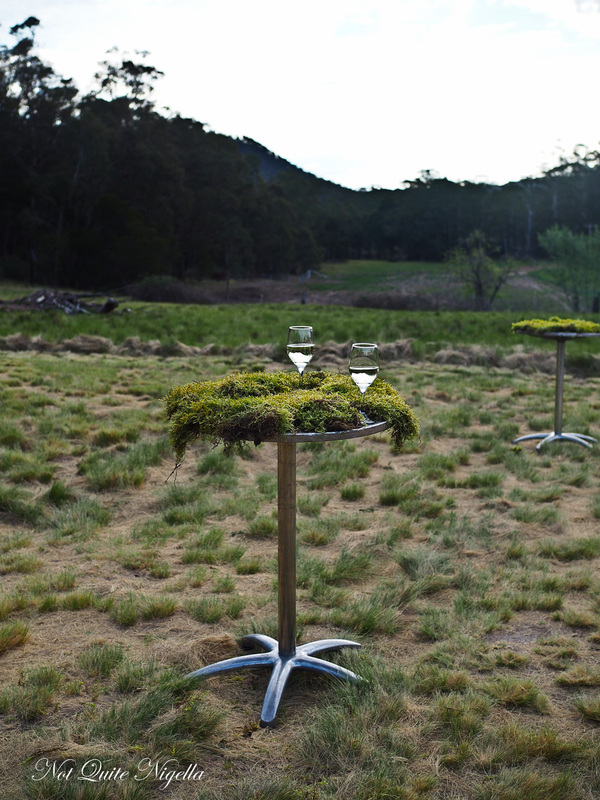 This year was the first year for WILDFest, a Southern Highlands festival that embraces nature. 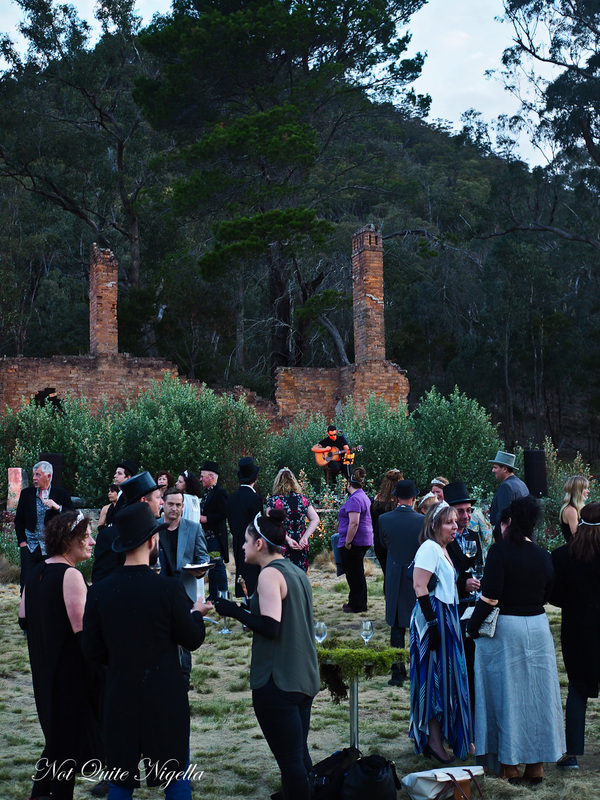 Founder Amanda Fry seeks to connect people to nature through unique experiences and one of the highlights of the festival was a dinner under the stars at Joadja, a former ghost town and now whisky distillery near Berrima. Amanda explains, "I also firmly believe the only way to protect the wilderness and the creatures that live it in is to make people fall in love with it. 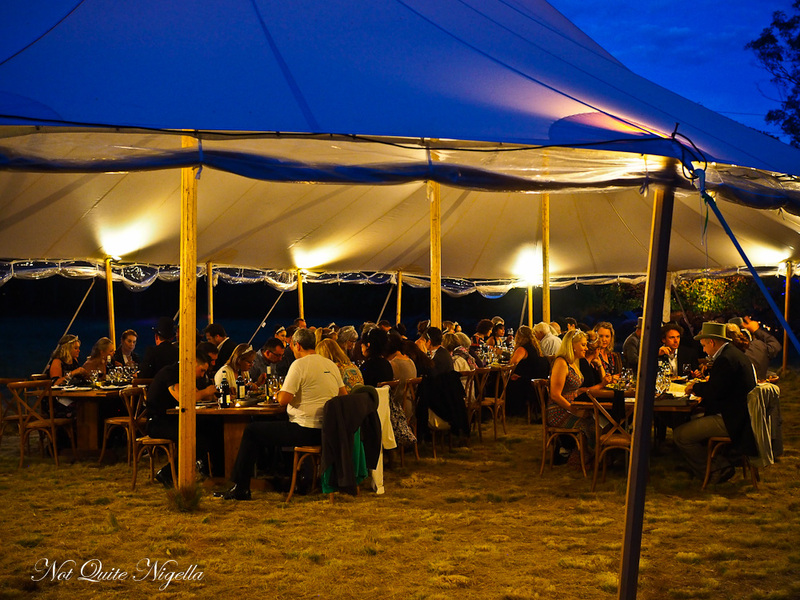 As Jacques Cousteau so beautifully said – "People Protect What They Love” so Wildfest is the matchmaker." There are five main elements that make up a WILDfest event: Nature, Innovation, Fun, Local and Wildlife. 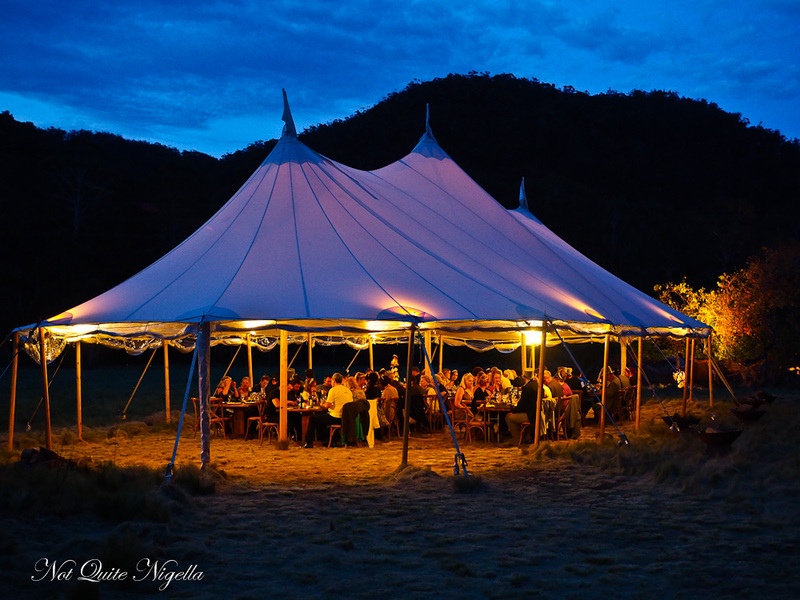 Tonight's dinner under the stars is one of Amanda's ideas although, "As creative director, the core ideas are mine and then I work with our partners to make them achievable and practical." The evening starts with a 4:30pm pick up from our accommodation, the luxe Peppers Manor House, one of our favourite places to stay when we're in the Southern Highlands. The brief was for women to wear full length dresses and men to wear pants and a shirt because we were getting a little something special added to us once we got there. 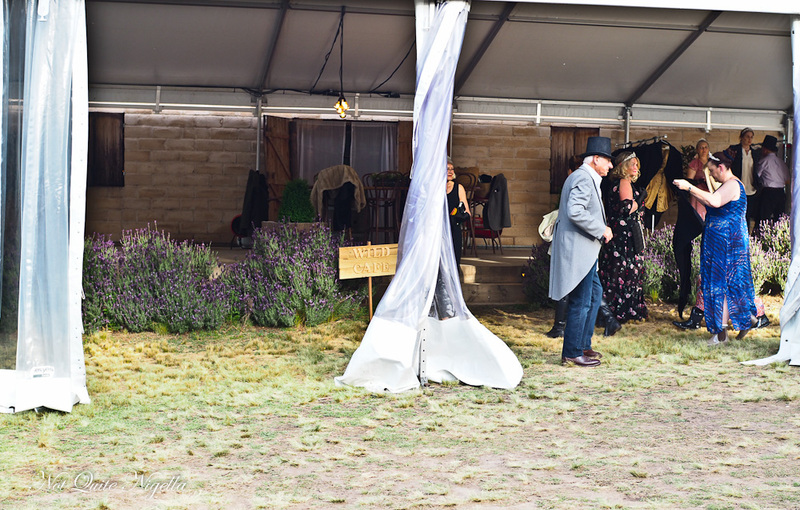 We pull into Joadja Distillery around 5:30pm and they take us into the "Wild Cafe" lined with swathes of lavender where people are offered a glass of wine and a little flourish. Women are handed long black gloves and tiaras while men choose tails and a top hat from the racks. It's a great idea that really lifts the spirit of the event. 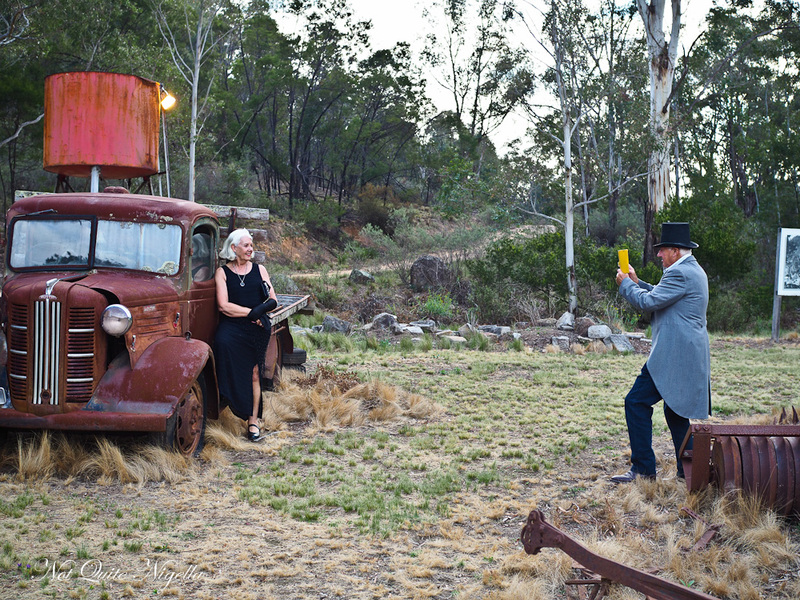 People pose by the abandoned cars, the sun still shining brightly. We adjourn to a clearing where talented Melbourne musician Michael Paynter is playing the guitar. We are offered glasses of cool climate wines like Artemis sparkling Riesling, Cherry Tree Hill Sauvignon Blanc and Tertini Pinot Blanc. We watch as the sun dips, going from a glowing orange to a cooler light. There is plenty of delicious finger food by chef Damien Monley of the popular Grand Bistro in Bowral. First comes poached yabbies on a brioche soft roll with Cafe de Paris butter and watercress. 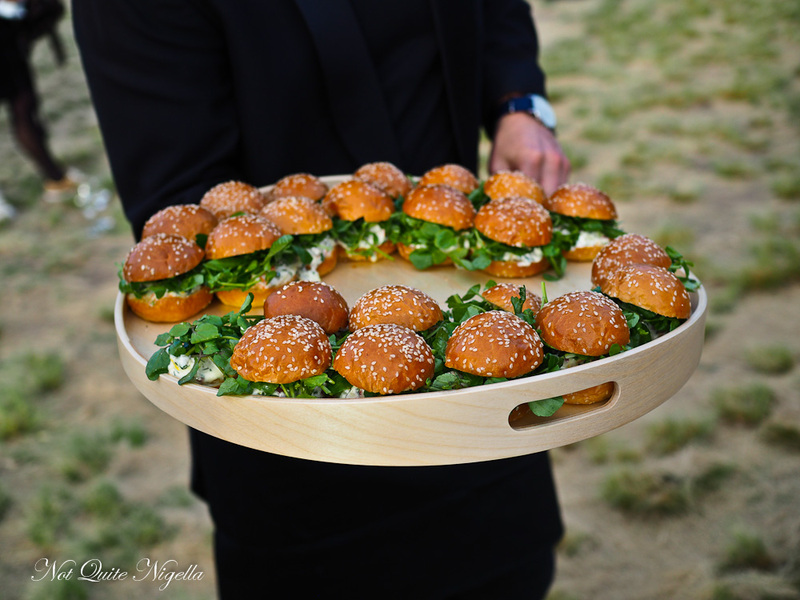 They make me a special chicken slider which is absolutely delicious. 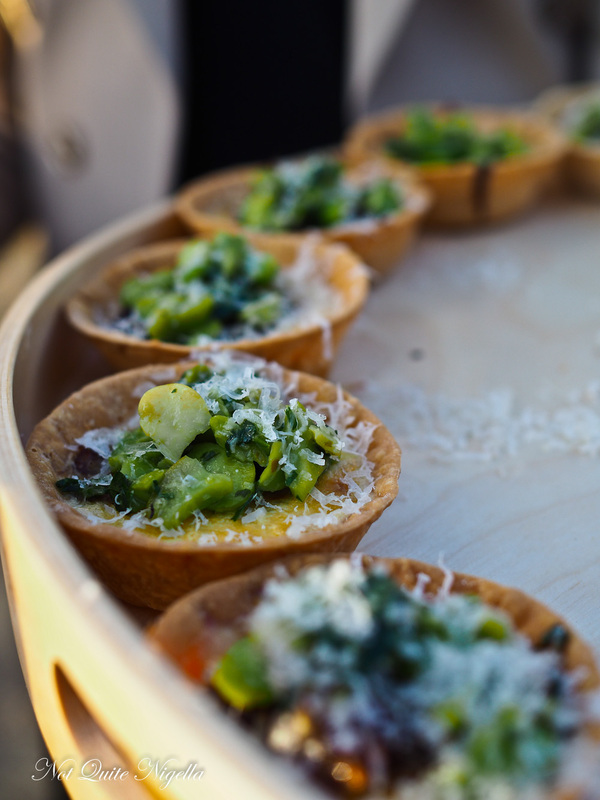 There's also delicious little truffled cheese tarts with broad bean salsa that are served warm. 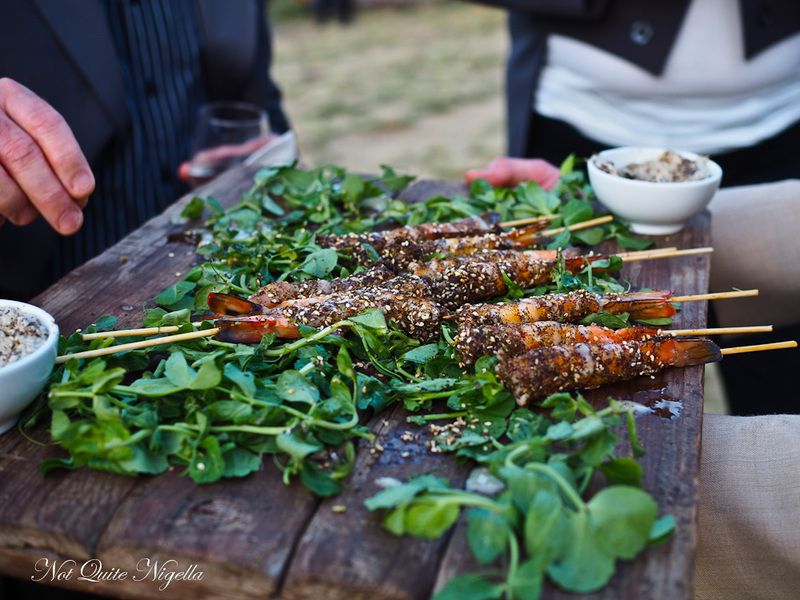 They're so good everyone help themselves to seconds of everything including the BBQ King prawns with bush tucker dukkah. At 7:30pm we are ushered to the main tent where the food is waiting for us. We are in for a treat and we will be served seven dishes including one dessert. 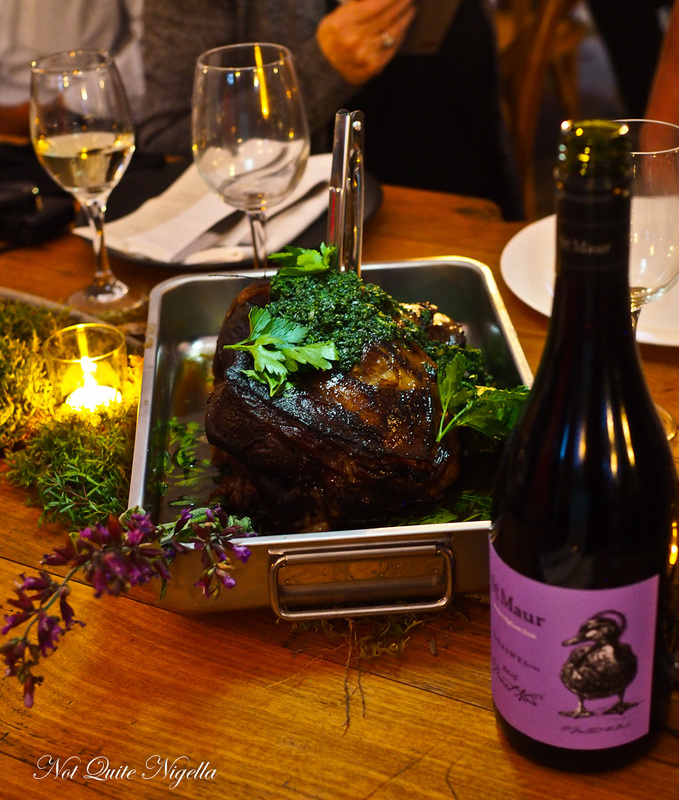 It's a generous spread and the centrepiece is a 7 hour slow cooked lamb shoulder with a delicious nettle salsa. The one thing I would suggest is serving the lamb once everyone has sat down as it is a bit cold by the time that we eat it. The other hit was the Joadja Distillery anis and cinnamon cured Ora King Salmon which everyone adored. 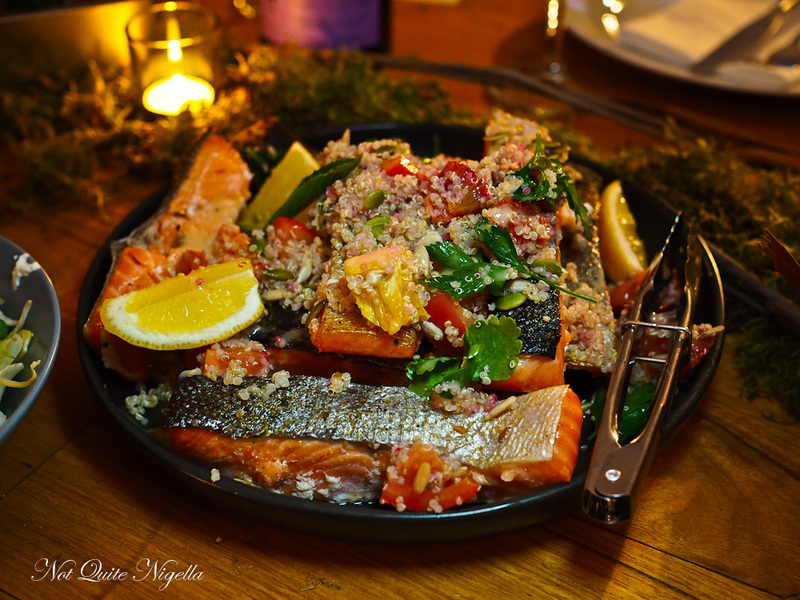 The salmon is luscious and served with a herbed quinoa salad. 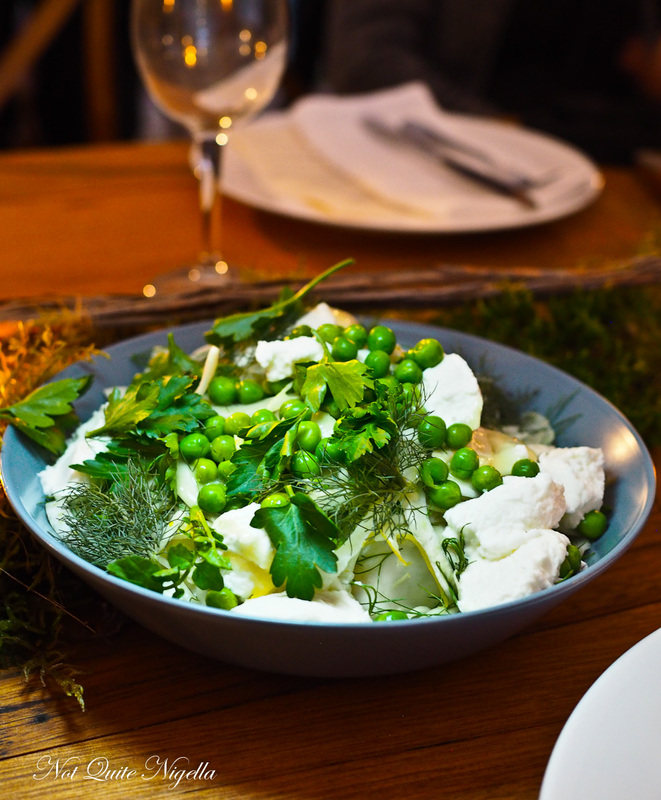 The sides include a wild fennel, goats curd, pea salad dressed with preserved lemon and soft herbs. 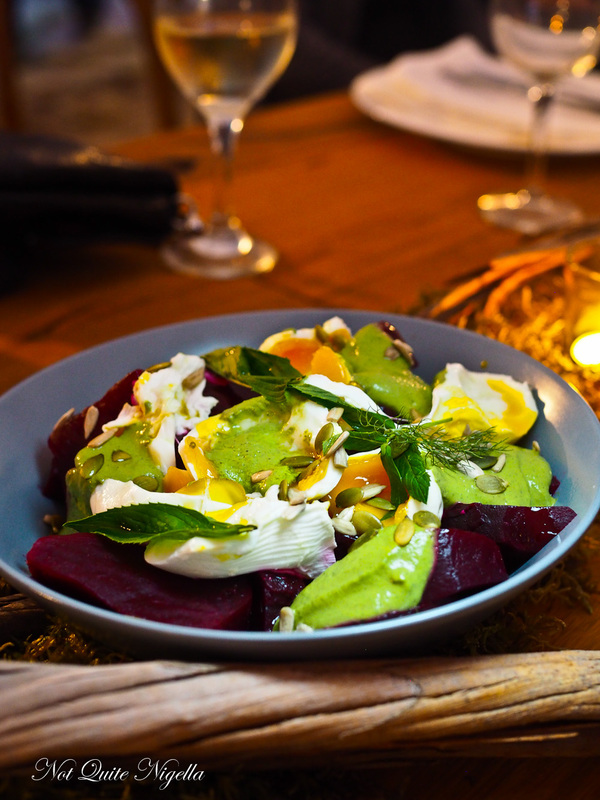 My favourite side is the pickled beetroot chunks with soft centered Red Leaf Farm eggs, wild mint and a tahini dressing. 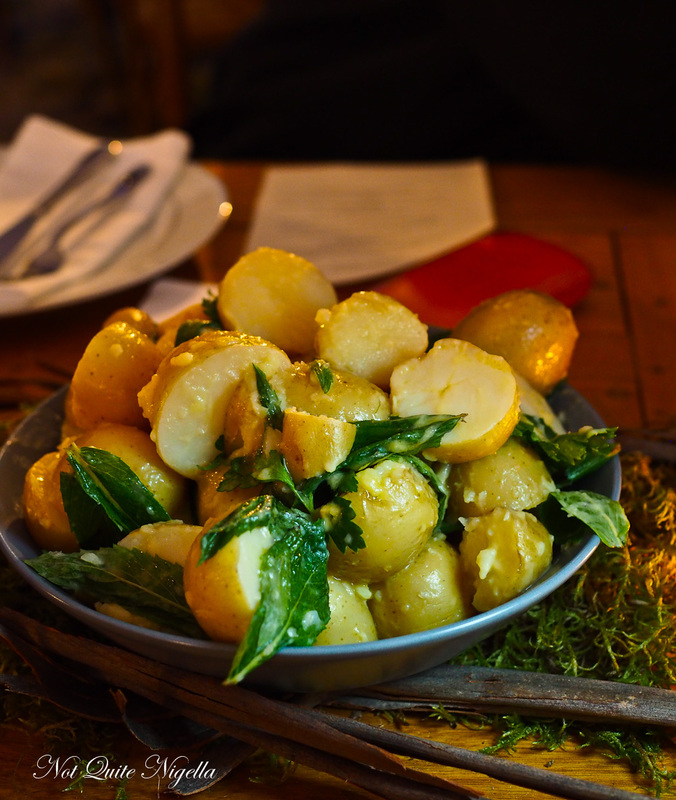 There's also steamed baby chat potatoes with Pepe Saya butter and sage. They're also kind enough to make me my own dish. Although I had been given the all clear to eat seafood (or at least test it out), I was a bit worried about eating it in a remote location far from a hospital. 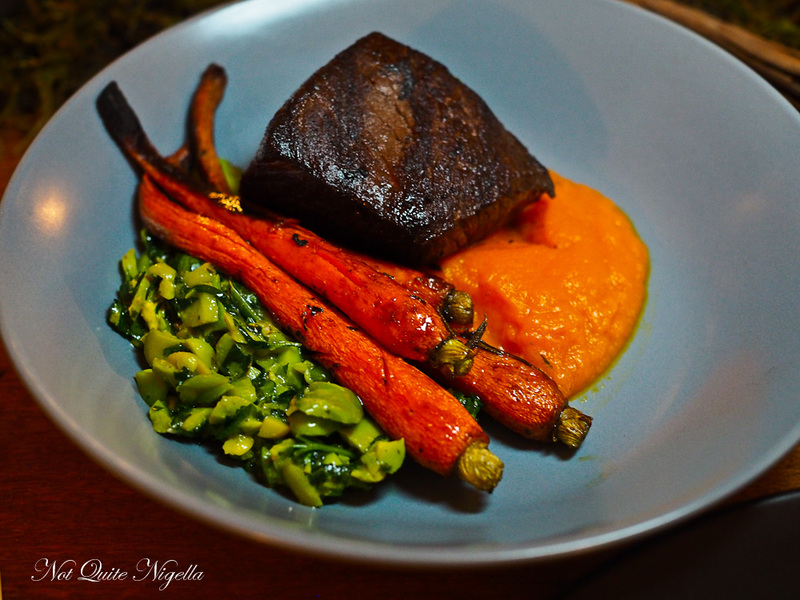 They made me a wagyu beef fillet with broad bean salsa and sweet roasted carrots. Everything is all washed down with Far Ago Pinot Gris, Howards Lane Shiraz, Cherry Tree Hill Cabernet Merlot and St Maurs Pinot Noir. 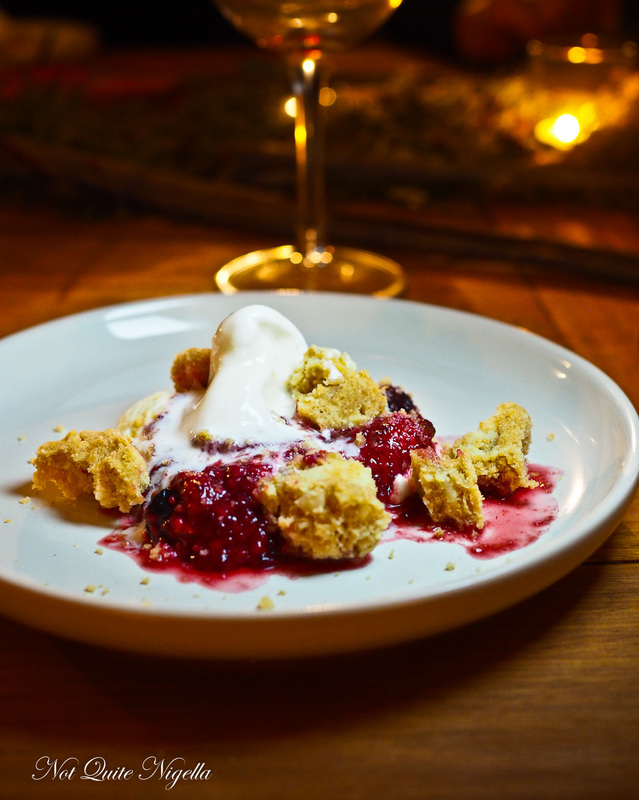 We end with a delightful dessert-roast summer berries, macadamia nut crumble and a Woomera honey ice cream with a glass of Centennial Finale Autumn Sauvignon Blanc. 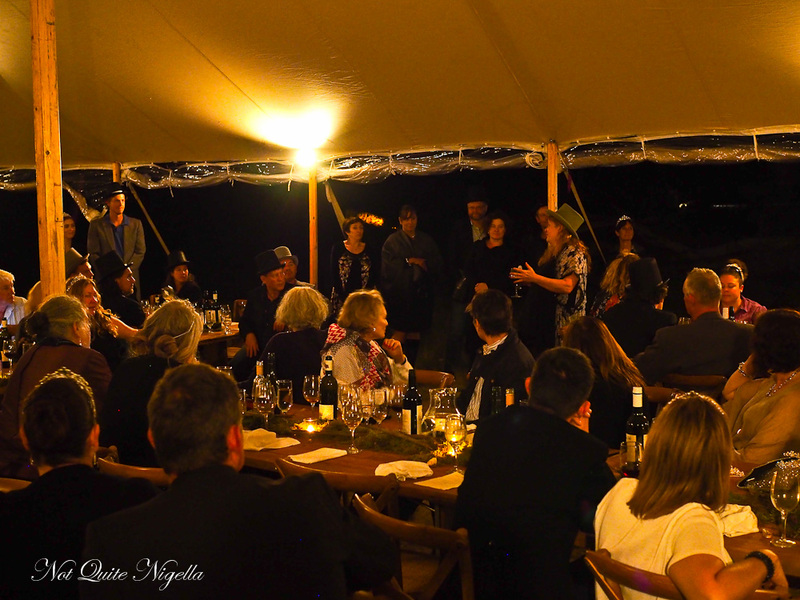 The best idea for these sorts of events is to get your friends together and book as a group. Being a couple among established groups is a risk but if you have a group of four or six or even larger, you can take a whole table. Speeches are made and you can feel the excitement as people want this to become an annual event, even by the staff. Some wander back to their glamping tents set up nearby while others take their tiaras and board the bus back home and remember the night where we dined in a ghost town. So tell me Dear Reader, do you enjoy connecting with nature? Would you enjoy an event like this? And do you like dressups? NQN and Mr NQN were guests of WILDfest and Peppers Manor House but all opinions remain her own. 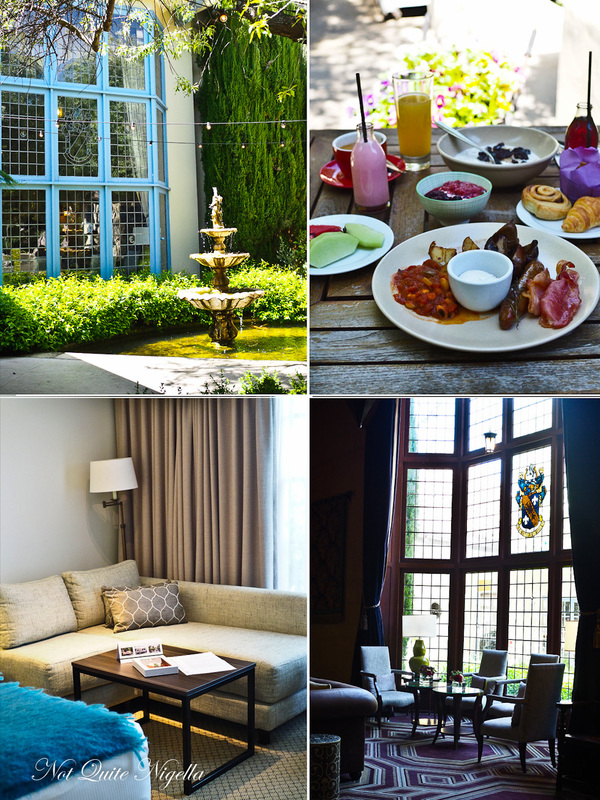 travel3 Fabulous Places to Shop and Eat At in Bowral! 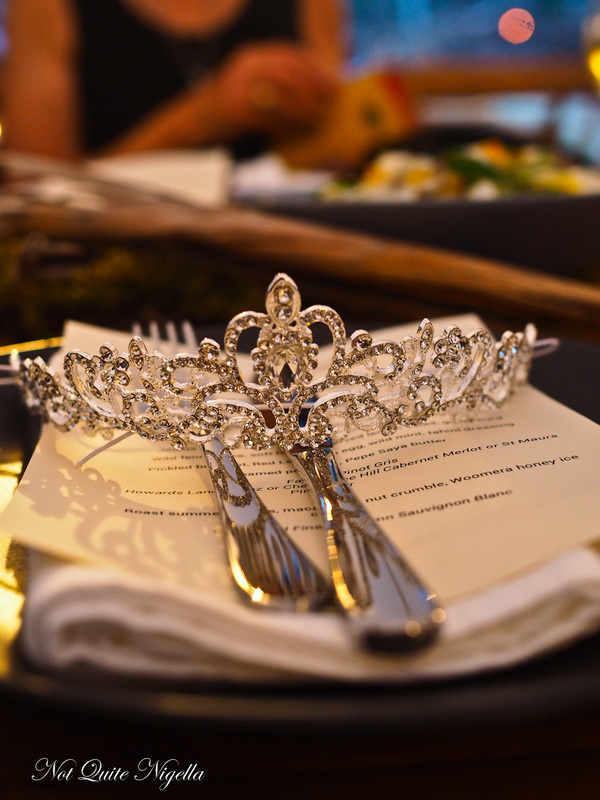 travel 3 Fabulous Places to Shop and Eat At in Bowral!